Olivia Harden, a student at Chapman and Features Editor of The Panther Newspaper, writes that being Black at Chapman can be traumatic and has only been exacerbated by the refusal of Chapman’s President to remove a racially charged poster of the film Birth of a Nation, at the Dodge School of Film. A vote Monday by the faculty will consider whether to call for a change. Santa Margarita Water District Director, Charley Wilson, today announced his resignation from the Orange County Local Agency Formation Commission. 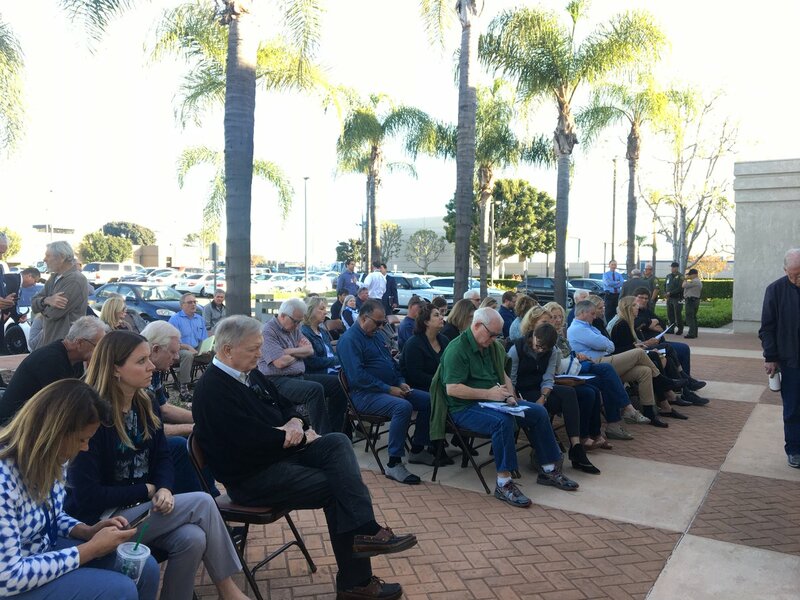 All work and construction on a new homeless shelter has stalled in Santa Ana, as city and county officials continue to point fingers over an apparent lack of public input on the effort to relocate homeless people from the Courtyard shelter in downtown to the new location on Yale Street. Sgt. Gerry Serrano went from facing potential DUI hit-and-run charges to leading one of the larger police unions in California. Voice of OC is publishing portions of the DUI police report for the first time. Deborah Pauly, an elected member of the OC Republican Party and former Villa Park Councilwoman, writes about the lobbyists and consultants that are able to influence elected officials, with taxpayer dollars, all facilitated by the Association of California Cities – Orange County. Cities across OC continue to struggle with cleaning up railroad homeless camps as they pressure railroad companies for more help.